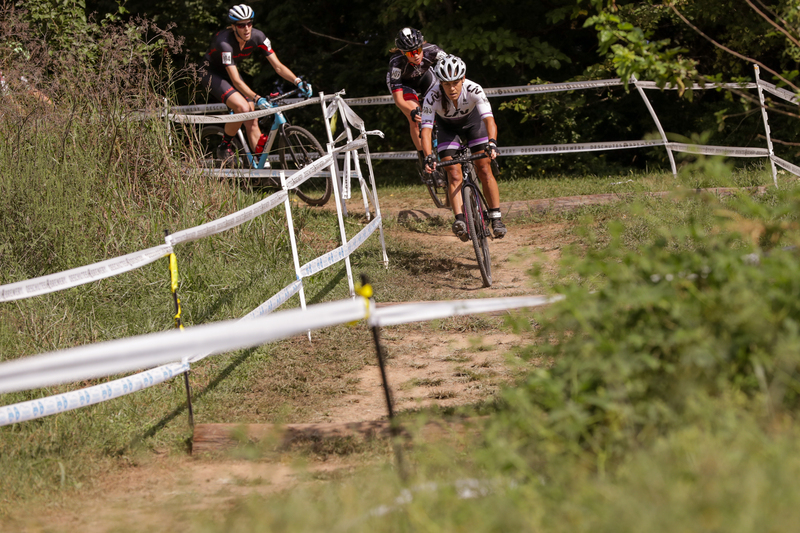 It was a day of redemption at Sunday’s Virginia’s Blue Ridge GO Cross Race presented by Deschutes Brewery. 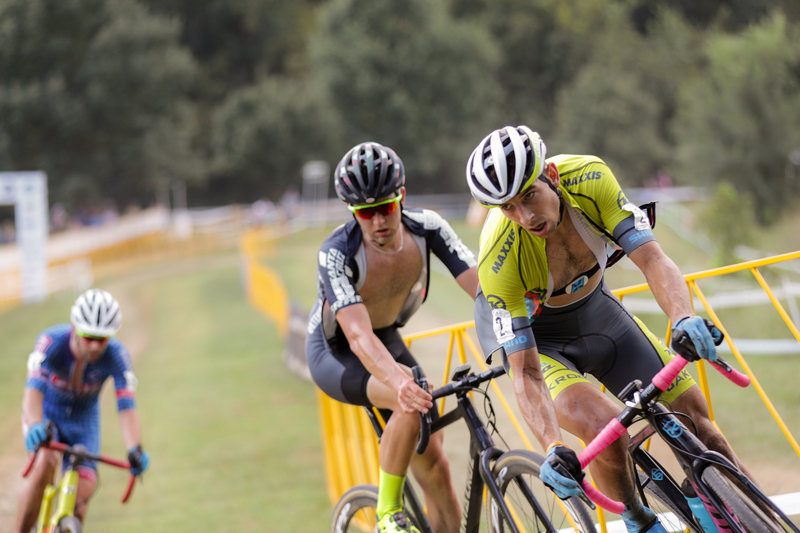 Kerry Werner (Kona) overcame some first lap adversity to earn his second win of the weekend in the men’s UCI C2 race. Crystal Anthony (LIV Cycling), who had first lap struggles of her own on day one, executed a flawless flight to the finish on day two, taking the top step on the women’s C2 podium. 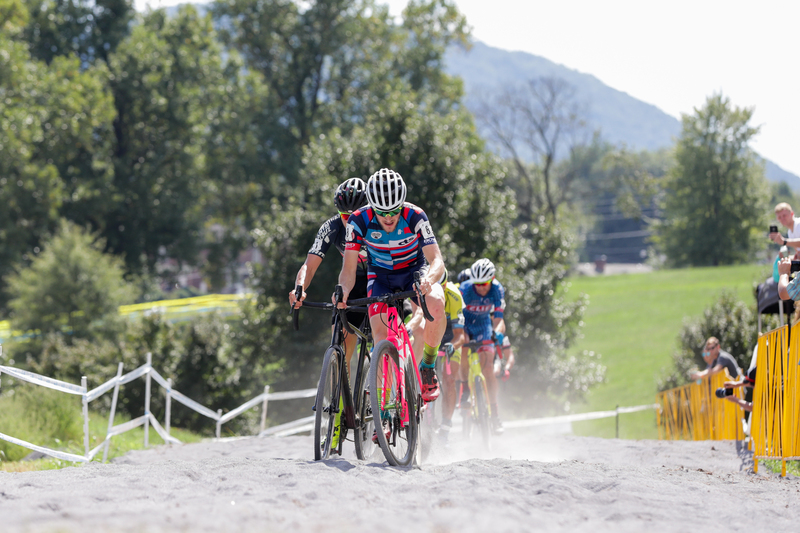 Following a damp day one, full sun returned to Fallon Park in Roanoke for day two, bringing scorching temperatures with it. By the time elite races got underway in the afternoon, the slick conditions that were created by the day one deluge had burned off. 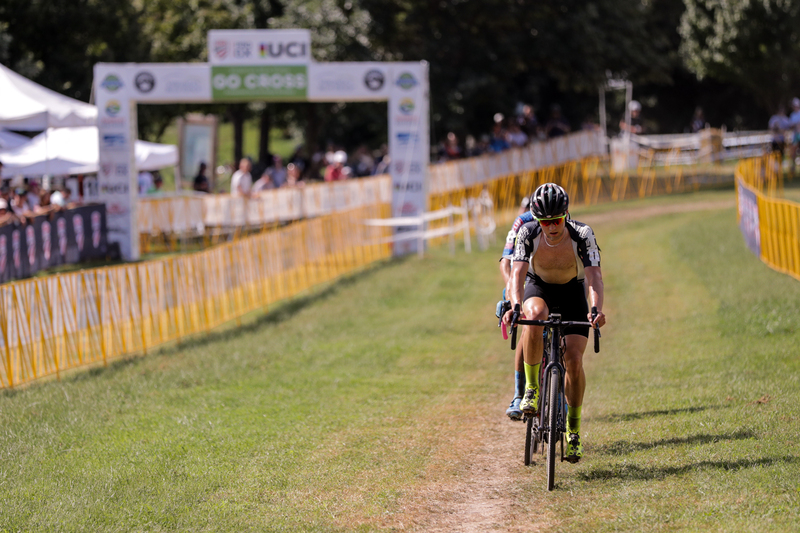 The track was dry, a bit dusty and hard-packed, enabling men’s and women’s elite racers to go full gas on the twisty 3-km course. Tristan Cowie (CTS Cycling Team) once again sprinted off the front of the men’s elite C2 race start to take the hole shot. 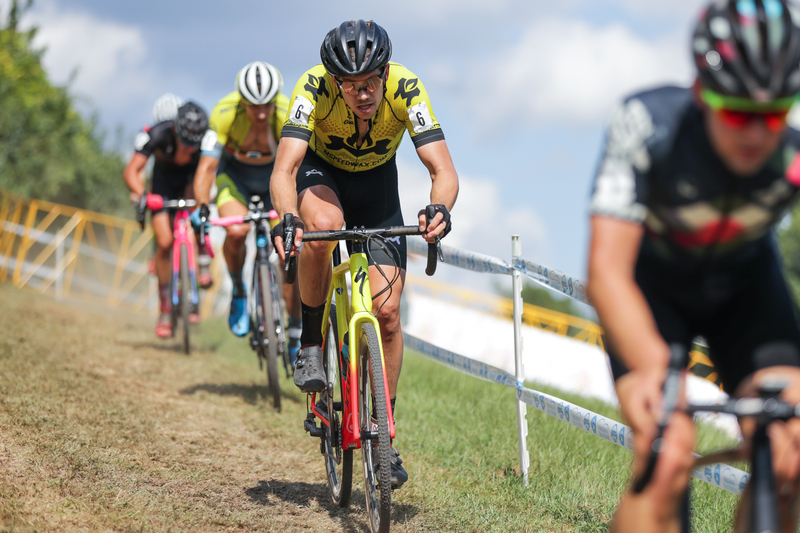 Within a half lap, it was clear that the front end of the 35-man field was charging hard to shake off the rest of the pack and get a selection going. Werner got caught in some early elbows-out racing and was pushed into the tape after the first trip through the log section. By the time he remounted, Werner was out of the top 20 and had to weave through the pack and catch back on. 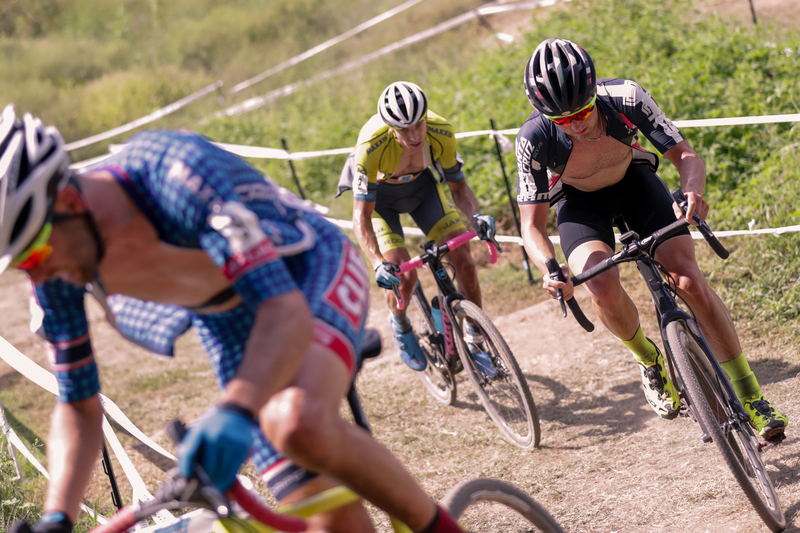 Once a selection formed up front, the pace eased a touch and Werner was able to reconnect with the leaders, which also included Cowie, Eric Thompson (M SPEED WAX), Tobin Ortenblad (Santa Cruz/Donkey Label Racing), Troy Wells (Team CLIF Bar), and Cody Kaiser (LangeTwins /Specialized). With five laps to go, Ortenblad made his first attack of several on the day, shattering the group. 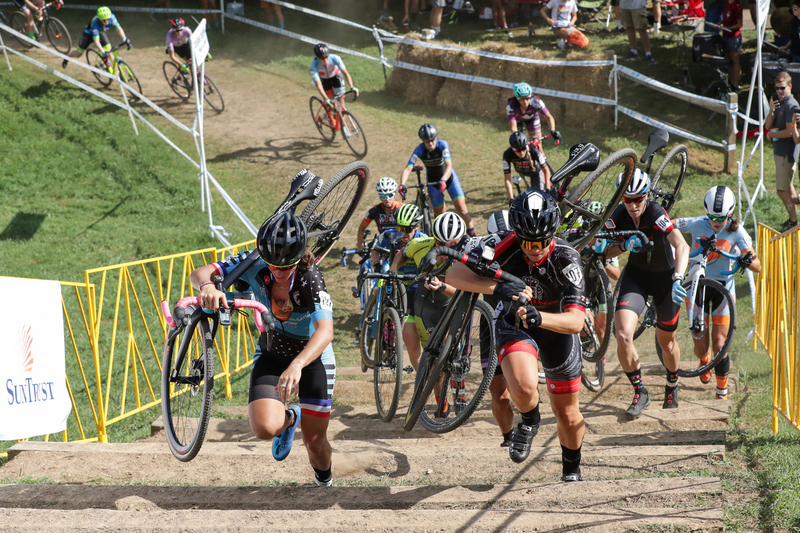 For the next two laps, riders would regroup and fall off with each new attack. “One of my goals today was to attack across the grass and through the sand a couple of times, and then just to try a couple of times at the back,” Ortenblad said. With three laps to go, Werner and Ortenblad put in a huge effort that shattered the front group for a final time. Wells caught back on and decided to keep the pressure on to restrict the front to a group of three. Despite the pressure, Kaiser caught back on with just over a lap to go. He soon paid for all that chasing, as Ortenblad led out the bell lap and popped Kaiser. Ortenblad attacked again and Wells couldn’t hold the pace, but Werner was able to match the move. On day one, Werner made his move on Ortenblad in the wooded back section of the course, but Ortenblad wasn’t willing to let that happen again. Heading into the stairs, Werner went all in for a final counterattack. The gap was enough to keep Ortenblad from queuing up for a sprint finish. Werner comfortably posted up to celebrate his vicotry, followed by Ortenblad with Wells rounding out the podium. 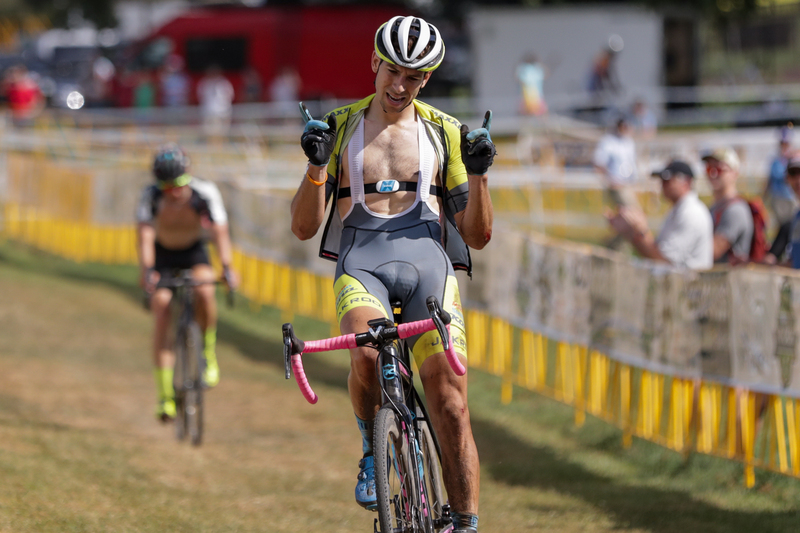 Despite losing the leaders early in the race, Werner was able to fight back and finish the first UCI weekend of the season with double wins. 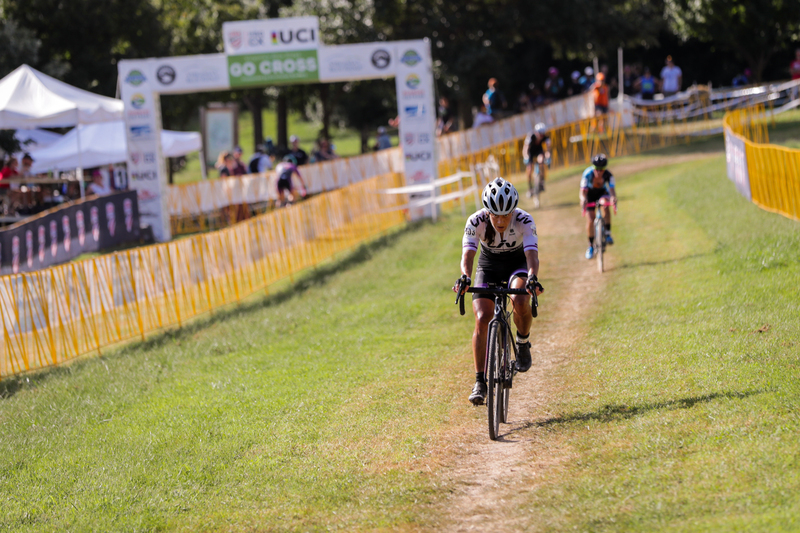 Crystal Anthony’s first day of racing didn’t go as planned, when she came out of her pedals at the start and had to chase hard throughout the race to secure a third place finish. Going into day two, Anthony was determined to set things right. 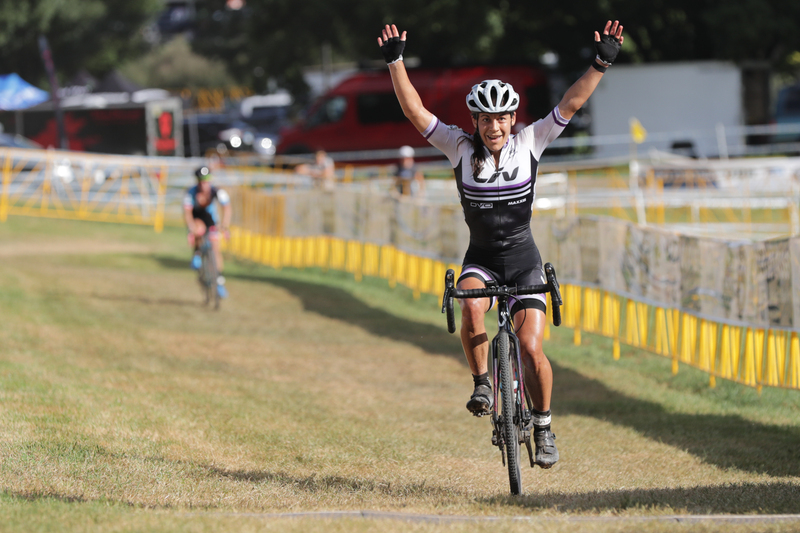 She quickly established herself at the front of the 27-rider field. A selection seven riders dominated the front early, including Anthony, Caroline Mani (Van Dessel Factory Team), Rebecca Fahringer (Kona), Sunny Gilbert (Van Dessel Factory Team), Caroline Nolan (Voler/Clif/Rock Lobster) and Carla Williams (Deschutes Brewery). With three laps to go, the group started to fall apart in the oppressive heat. Anthony and Gilbert held the front with Wiliams, Nolan, Fahringer and Mani fighting to stay in contact. With two laps to go, Gilbert ran the sand section. Anthony saw a firm groove forming in the sand, so she decided to stay seated and put in a huge attack. 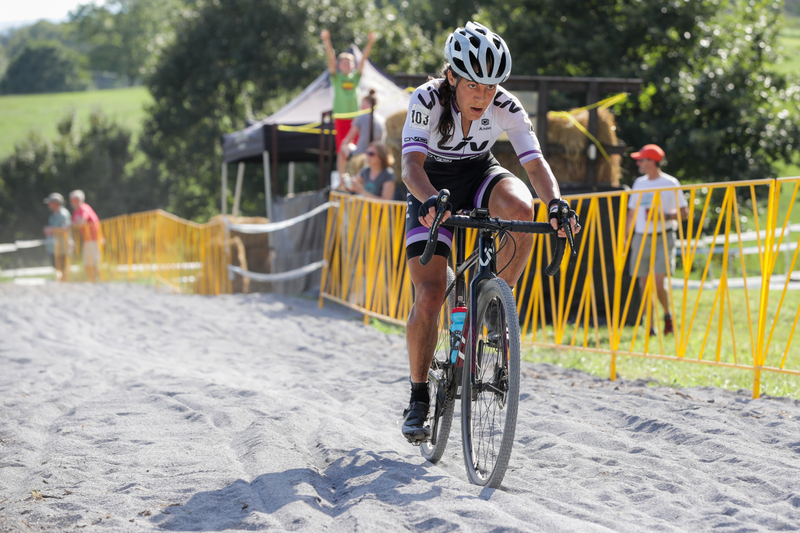 “I noticed that Caroline had ridden the sand by us in lap two, and I was like ‘I guess it’s rideable.’ So I knew that was a good spot to get some time,” she said. Behind, it was a race for the remaining spots with Mani chasing hard in second and her teammate Gilbert in third.